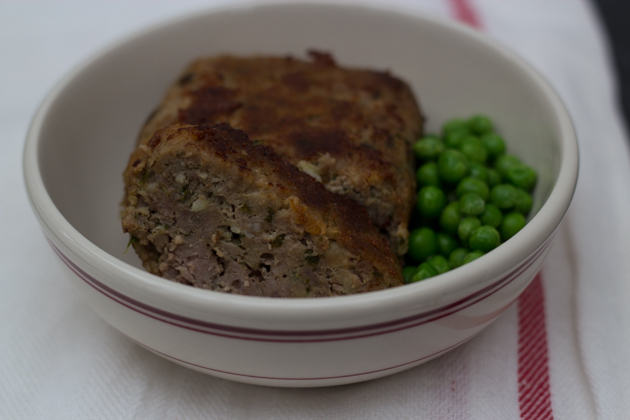 Polpettone, known as meatloaf in America, is made in several regions in Italy with many variations. It is typically made free form however and cooked on the stove top, not baked in a tin like in the US. This ensures that a crust is formed on the outside, sealing in the juices and that any juices which escape can dissipate rather than collect in the tin and boil the meat. It is however trickier to rotate the meatloaf while browning without breaking it. Meatloaf is typically served with mashed potatoes or buttered vegetables (spinach, peas, fennel or carrots). 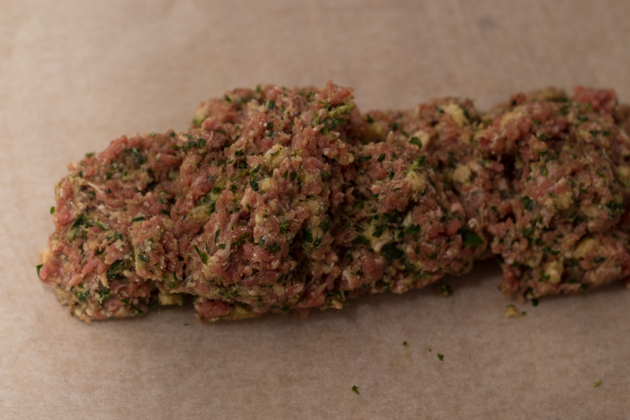 Meatloaf can also be stuffed with hard-boiled eggs, spinach, cheese (provolone or gruyere) and/or prosciutto. It can be made with beef, veal or pork or a mixture of the three. In Liguria it is made primarily with vegetables: mashed potatoes, green beans, zucchini, artichokes, peas, cardoons and fresh or dried mushrooms with the addition of marjoram or basil and fresh cheese such as ricotta or quagliata. Veal, tuna or prosciutto can be added. In Florence it is made with beef, dried mushrooms and prosciutto and when the white wine evaporates, tomatoes and dried mushrooms are added to the pan to create a sauce. 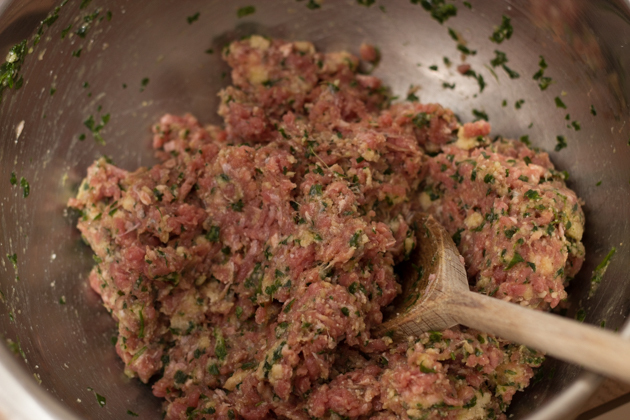 In Naples, meatloaf is made with beef and sultanas, pine nuts and marjoram. The meatloaf is browned in the fat from the rendered lardo and prosciutto and then cloves, onions, celery, carrots and tomato paste are added to the pan to create a sauce. Mix together 30 grams of breadcrumbs and milk. 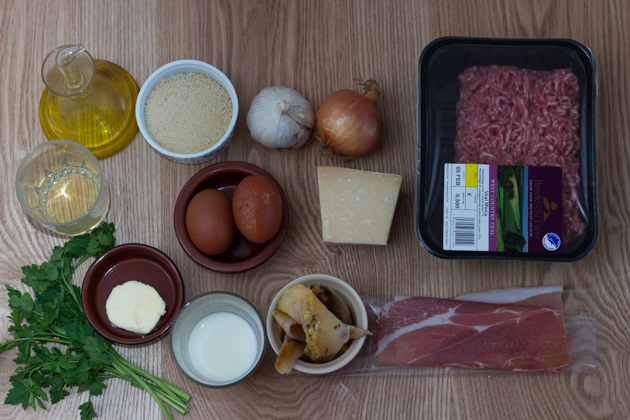 In a large bowl, mix together the eggs, then add the parsley, prosciutto fat, garlic, veal, salt and pepper. 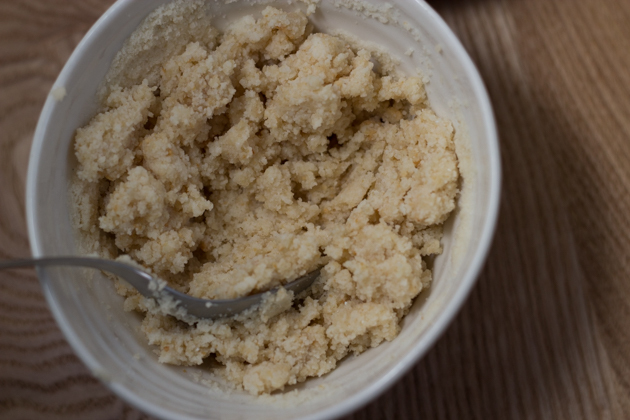 Mix in the cheese and breadcrumb mixture until well combined (do not over mix). 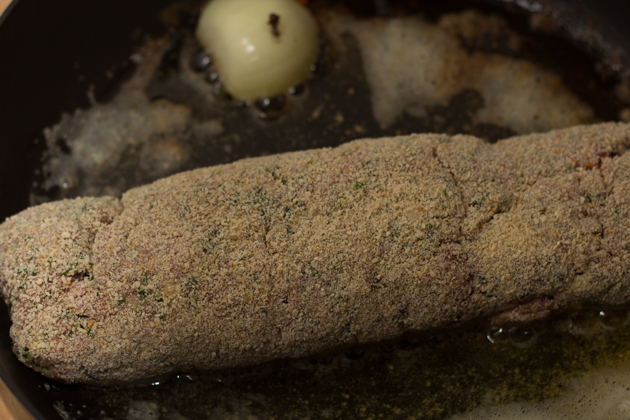 Use a sheet of parchment paper or foil to sprinkle 30 gms of breadcrumbs on the sheet. 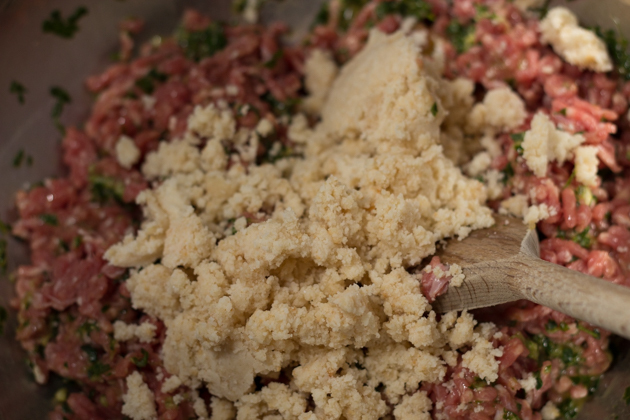 Place the meat mixture on the breadcrumbs to form a cylinder about 7 to 8 cm wide. 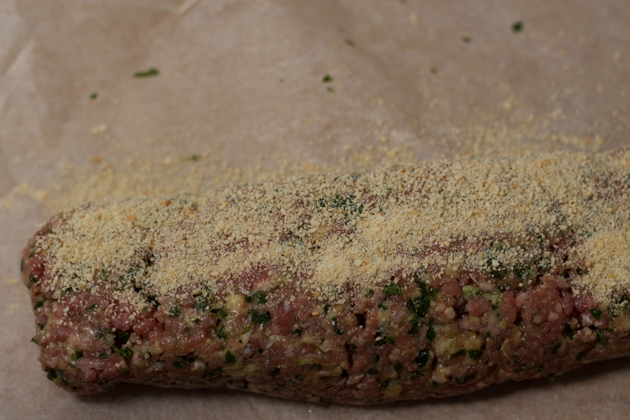 Sprinkle the top and sides of the meat with the breadcrumbs. 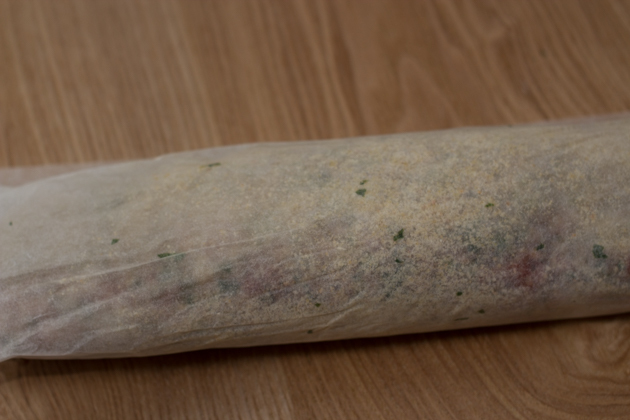 Roll the sheet around the meat to form a uniform roll. Insert the two cloves into the onion half. Over medium heat, in a low-sided sauté pan, heat the olive oil and butter with the onion in the pan. When the butter is melted, careful roll the meat off the sheet into the pan. Using two spatulas, gently rotate the roll to brown evenly on all sides, about 2 minutes per side. Add the white wine to the pan, reduce the heat to low and add a lid slightly askew. When the white wine evaporates, add the stock. 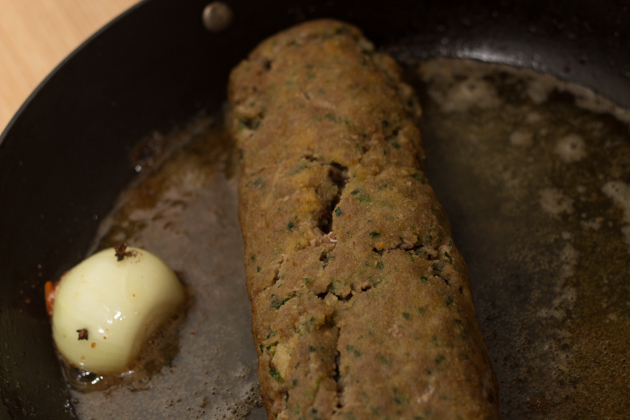 The meatloaf will take about half an hour to cook (depending on your pan) but when the fats start to escape from the meatloaf and coagulate, begin checking one end to see if it is finished. You do not want to overcook it as it will dry out. When finished, turn off the heat and let rest for 15 minutes before serving. It is served cold in the summer.